There can be no better or worse sight than your own reflection, but these vain animals seemed very keen to admire themselves. 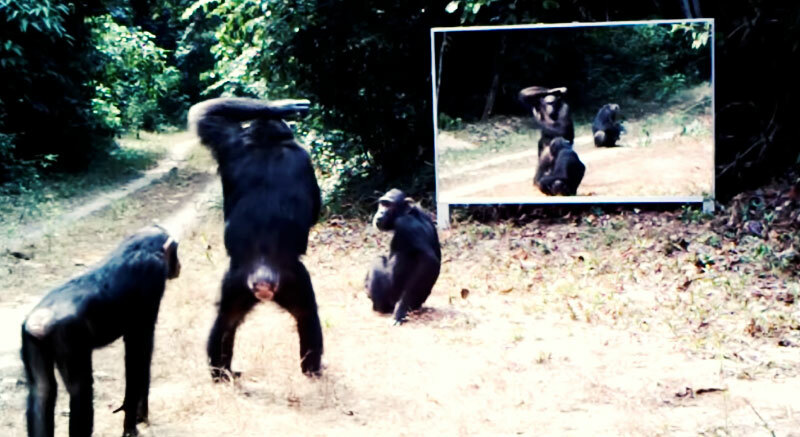 Innovative French photographer Xavier Hubert Brierre travelled to Gabon with his wife and set up a mirror in several locations in order to capture animals walking by. The results are stunning, with one of the more amusing reactions being from two leopards. One of them takes several looks at the mirror before it is attacked by a second leopard, who calls off the ambush when he too spots Xavier’s mirror.